August ended as it always does – with the best day of the year, my birthday. An added bonus this year was it falling on a Saturday so no taking the day off for me. And also, I managed to avoid any mentions of Diana, so that was a nice treat. Husband didn’t let me down and got me some Parrot Zik headphones, designed by Philippe Starck. I finally own something designed by Philippe Starck – WOO! So far I have had a little dance around to Nine Inch Nails in my living room and it was amazing to skip/pause/change volume by using gestures on the touch sensitive panel. I can now continue my Glee re-watch without wires, so no more detaching myself from my laptop to go to the kitchen. It’s like I’m living in the future. My next gift was some Keith Brymer Jones coffee mugs (yes, I did ask for them – I’m collecting!) together with a story about Husband’s trek to a South London Amazon Locker. A little box followed, and I guessed what it was because it was covered in Tatty Devine stickers. 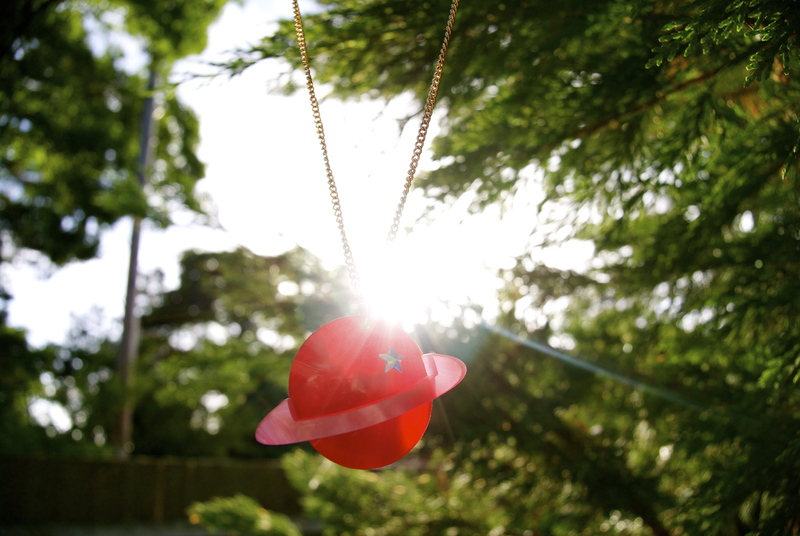 A gorgeous Tatty Devine Planet necklace from their new season collection. And just when I thought I was done with the present opening, another present flew out at me. It really did – Husband had hidden it under the coffee table and flung it at me, taking me by surprise. 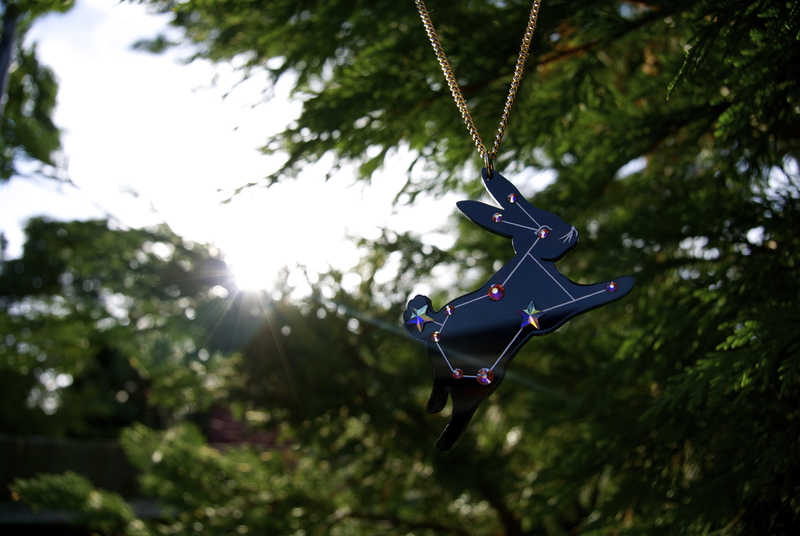 A Sky Lab Rabbit necklace, also from Tatty Devine. I love my husband, especially because he would brave the Brick Lane Tatty Devine store, and then walk back into his (very testosterone-y office) with a bright pink bag. 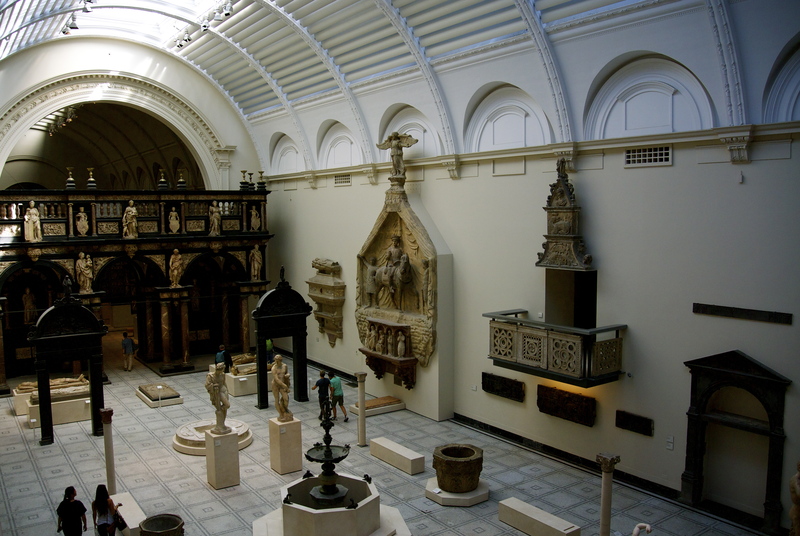 A lazy morning followed before we went into London for a Byron Burger followed by a trip around the Victoria and Albert museum. The main reason for our visit was for the Club to Catwalk exhibition, all about fashion in the 1980s and it was really good. No photos as they were prohibited (also prohibited – sketching) but there were designs there from Vivienne Westwood, John Galliano, Katharine Hamnett – some really gorgeous pieces. I loved the sections on Goth and Glam Fetish, but I still continue to be terrified by any photos of Leigh Bowry. 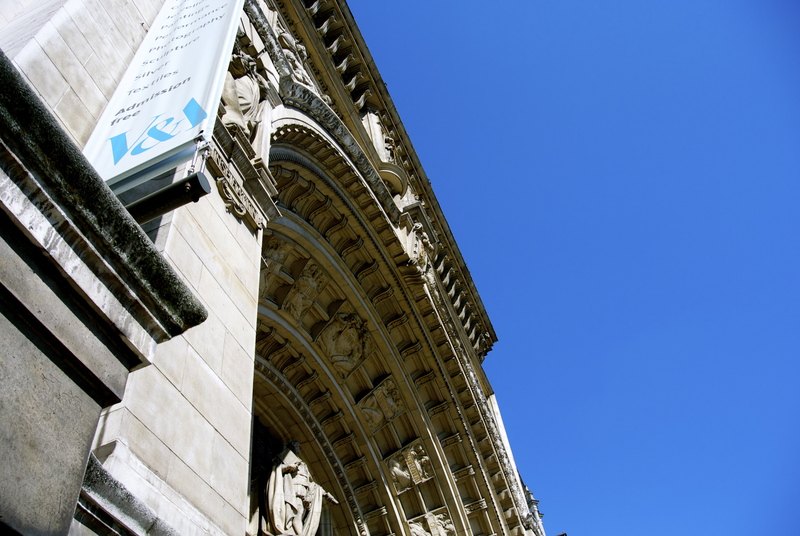 After spending some time looking at the pretty clothes, we wandered around some of the rest of the museum, and I showed Husband some of the pieces that I’d been told about on a previous visit. 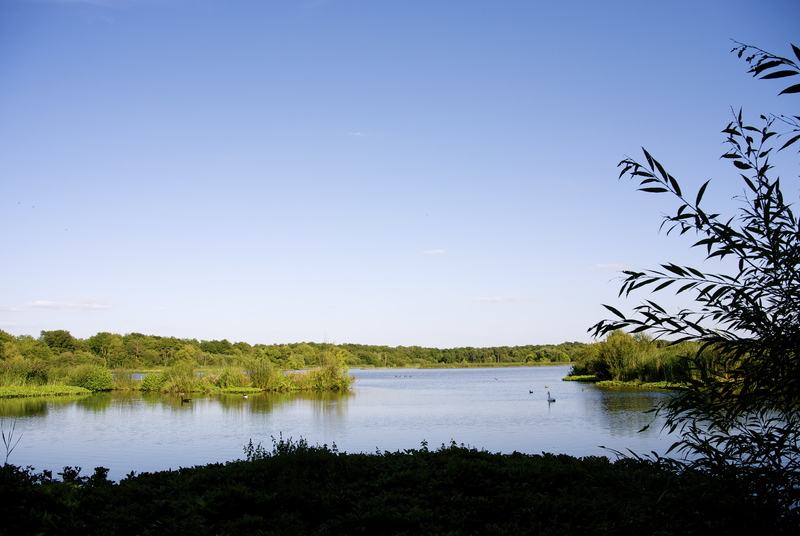 Nothing compares to the beautiful Fleet Pond, which we have to walk around to get home from the train station. 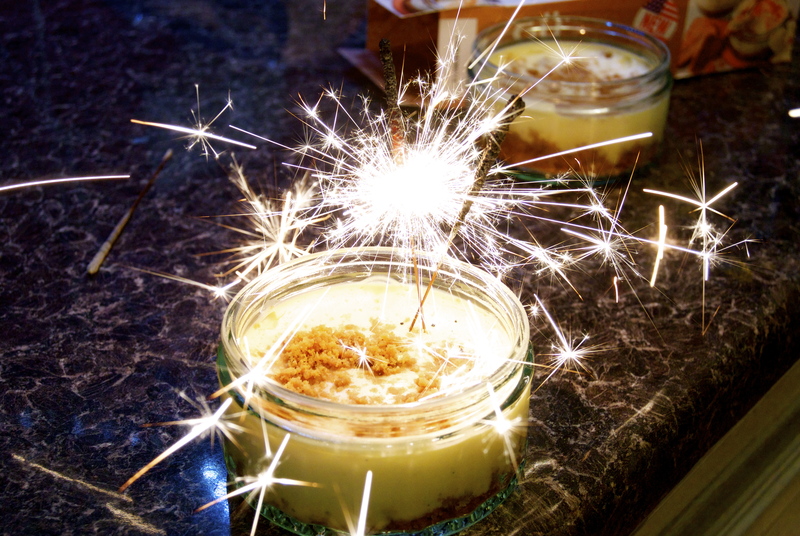 And as a special birthday treat, I got sparklers in my Gü cheesecake. Admittedly, it almost set Husband on fire, but it was totally worth it. Sounds like a good day! Without a mention of Diana! I do remember Diana. But there was no Diana remembrance on Saturday!